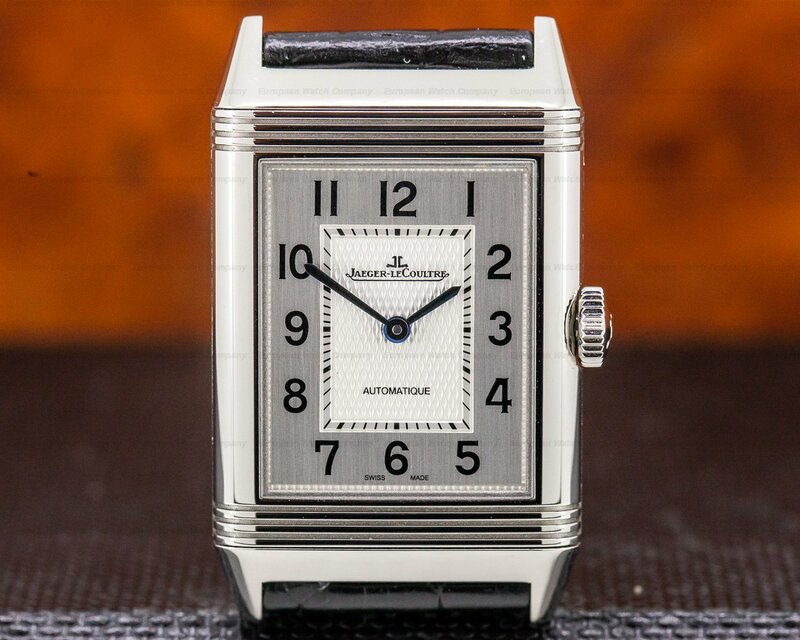 (31269) Jaeger LeCoultre Q2788570 Grande Reverso "Tribute to 1931"
31269 Jaeger-LeCoultre Q2788570 Grande Reverso Ultra Thin "Tribute to 1931" 278.85.70, This classic watch was designed as a tribute to the original Reverso (the dial is exactly like that of the original), stainless steel on a strap with a stainless steel buckle, manual wind JLC caliber 822 movement, black dial with luminous stick markers and luminous hands , the reverse side features a solid case-back, sapphire crystal, water resistant to 30 meters, power reserve of 45 hours. size: 46 x 27.5mm, thickness: 7.23mm. Like New with original box and papers dated December of 2016. 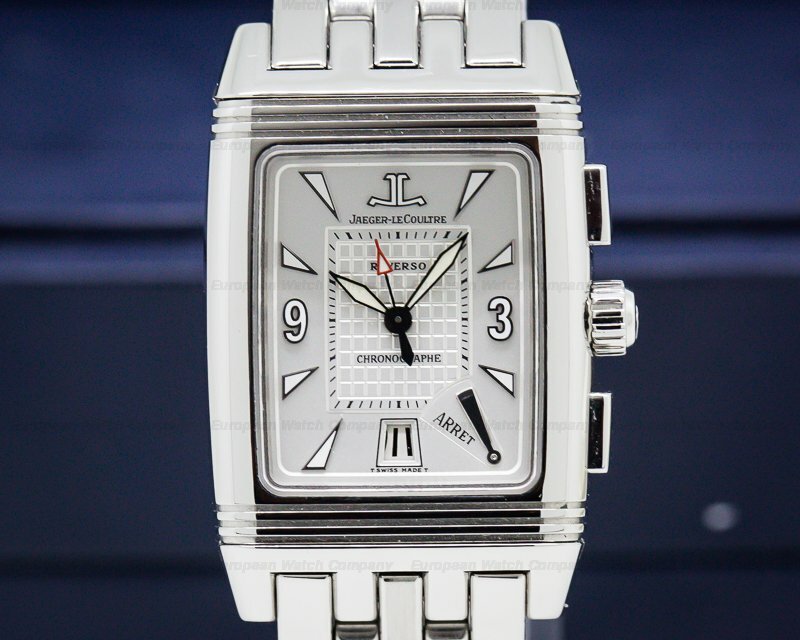 This is a stainless steel Jaeger LeCoultre Grande Reverso Ultra Thin "Tribute to 1931" Q2788570. 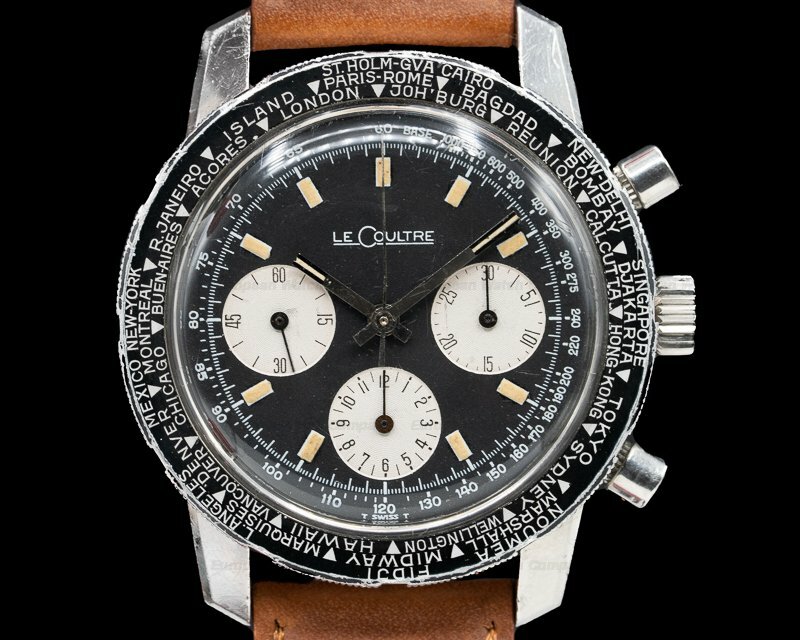 It has an alligator leather strap with a stainless steel buckle. The sold five-body tonneau-shaped art deco case is polished and brushed with a solid case back. 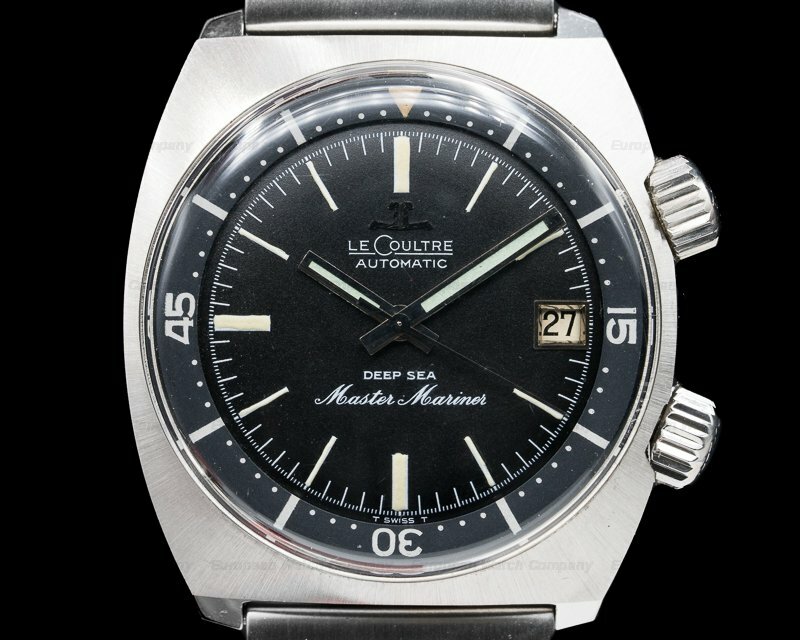 It has a black dial with luminous steel baton hands and stick/baton hour index markers, and an outer minute track. The case is 46.5 by 27 mm., and it's 7.23 mm thick. 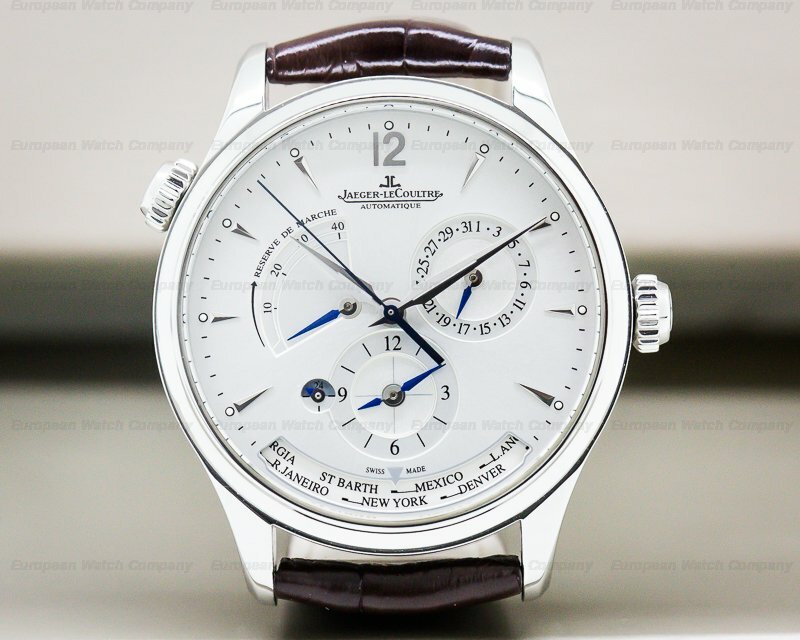 It has a sapphire crystal that's scratch resistant, and it's water resistant to 30 meters. It includes a power reserve of 45 hours at full wind. 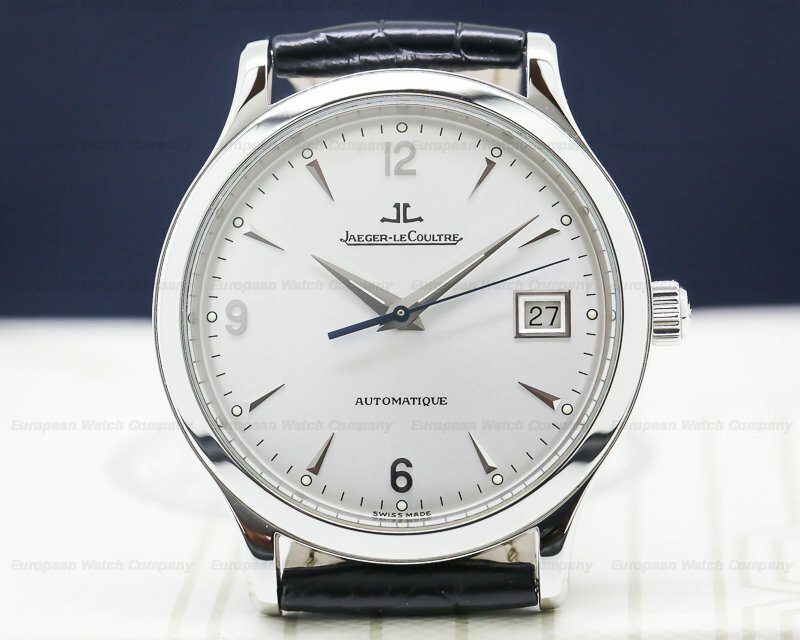 This Jaeger LeCoultre Grande Reverso Ultra Thin "Tribute to 1931" Q2788570 has a mechanical manual winding JLC caliber 822 movement that's rhodium-plated with fausses cotes embellishment. It's constructed with 21 jewels, one barrel, 134 components, and a shock absorber mechanism. 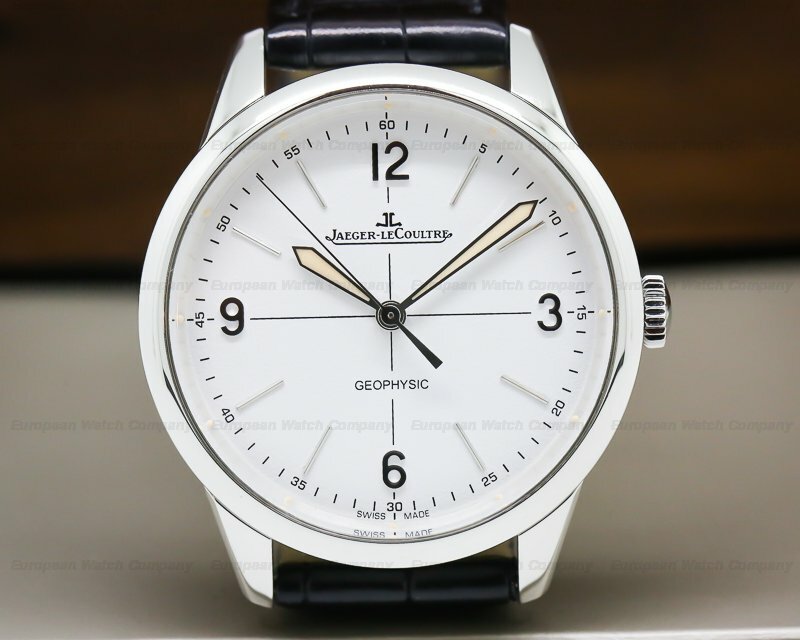 It has a straight-line lever escapement, a monometallic balance adjusted for 5 positions, and a self-compensating flat balance spring. The mechanism oscillates at 21,600 vph (3 Hz). The case, dial, and movement are all signed. 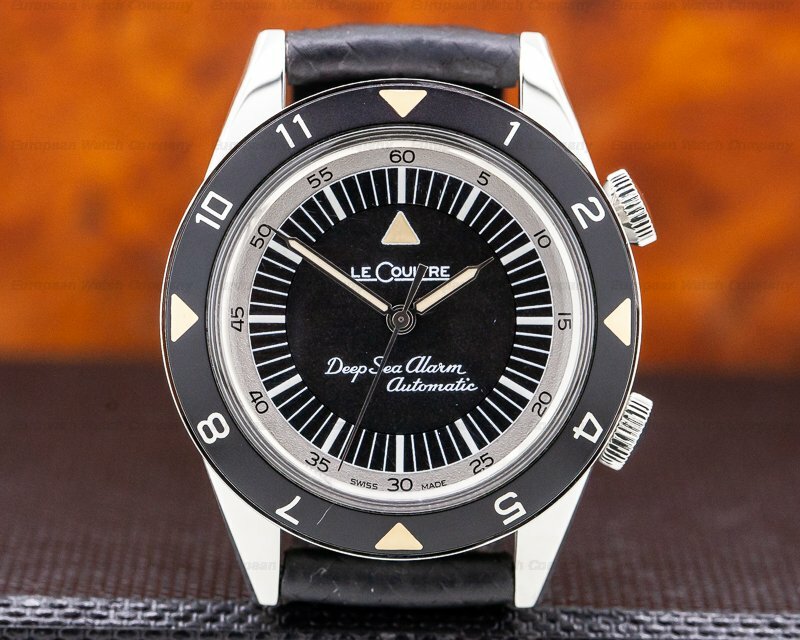 Cesar de Trey and French designer Renee-Alfred Chauvot designed the innovative Jaeger LeCoultre art deco style Reverso watch in 1931, inspired by a challenge by polo players to construct a wristwatch that would resist the abuse of the active sport. 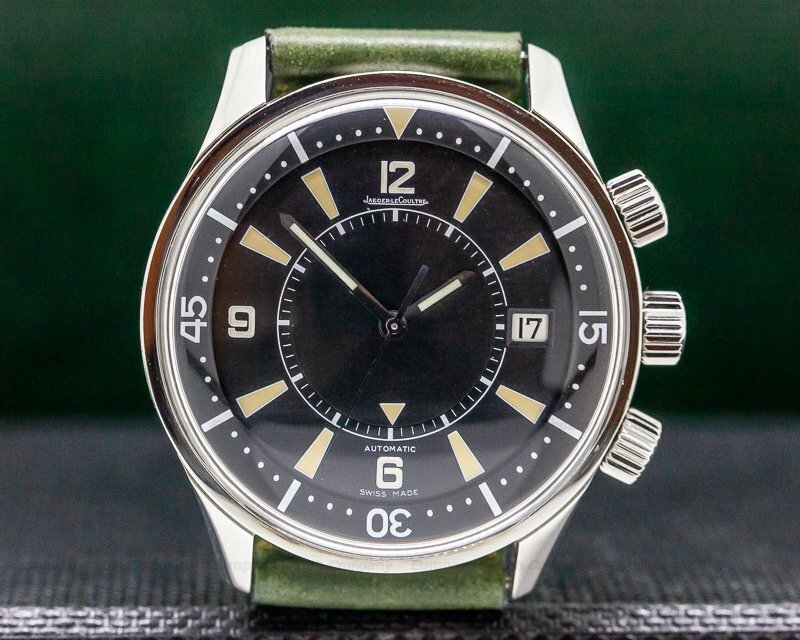 The dial of this watch is identical to the original, including the color of the luminescent material. 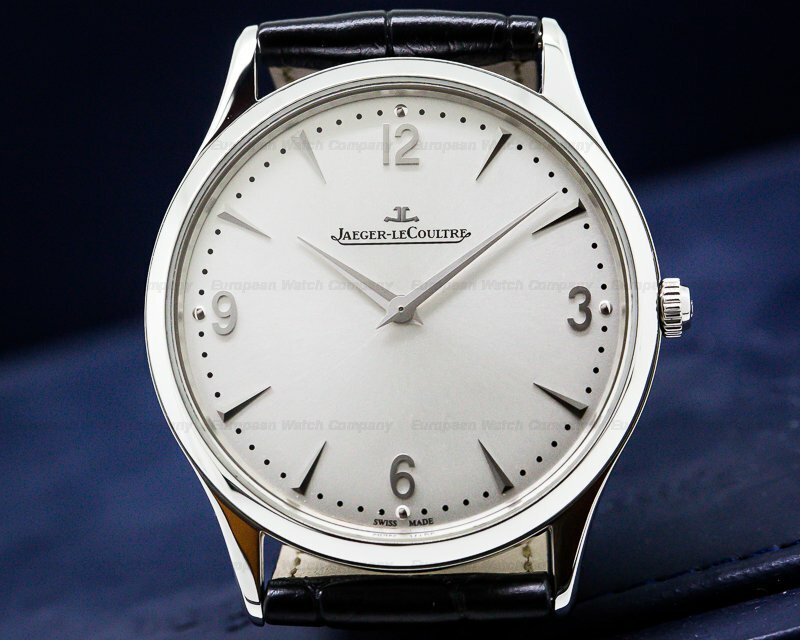 The Jaeger LeCoultre Grande Reverso Ultra Thin "Tribute to 1931" Q2788570 was introduced in 2011 for The 80th birthday of the Reverso.